Read the book that inspired the movie. WAFFLE STREET. MONEY WILL NEVER BE THE SAME. In the wake of the worst financial turmoil since the Great Depression, millions of Americans were left wondering how the economy actually works. The answers have finally arrived—in a most unconventional form. After spending two years in the midst of the housing market hurricane, Jimmy Adams is laid off from a hedge fund in early 2009. Wearied by eight years in the bond market and disillusioned by the financial services profession, he decides to get an “honest job” for a change. Before he knows what hit him, Jimmy finds himself waiting on tables of barflies at his local waffle shop. Many colorful characters soon emerge: man-hungry female patrons, a stonemason who carves his own teeth, and a man seeking refuge from the ghost in his apartment. Amidst the glorious chaos of the night shift, the 24-hour diner affords a bevy of comedic experiences as the author struggles to ingratiate himself with a motley crew of waiters and cooks. Unexpectedly, the restaurant also becomes a font of insight into financial markets and the human condition. 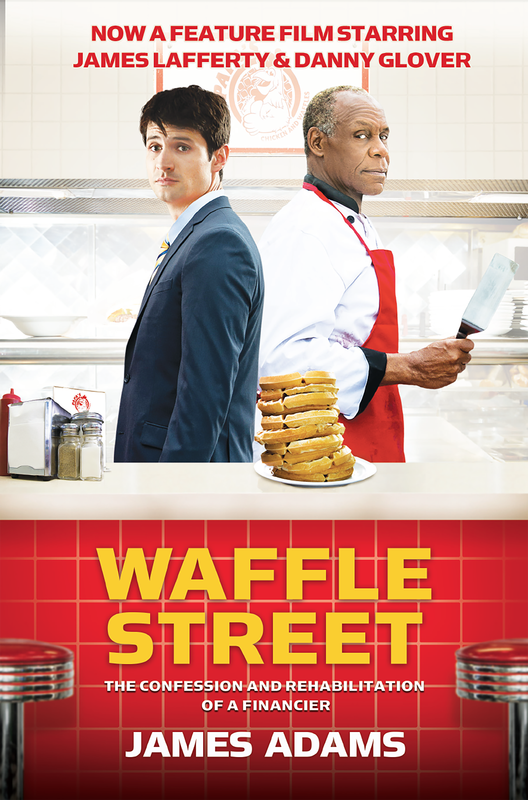 In a uniquely hilarious and thought-provoking narrative, Waffle Street unravels the enigmas of money, banking, economics, and grits once and for all. As they laugh heartily at the author’s expense, readers will develop a profound appreciation for the first principle of economics: there really is no such thing as a free lunch.